Griffin Technology offers 15% off site wide + free shipping via coupon code "ID15". Griffin sells accessories for the iPhone (including iPhone 5), iPod, iPad, Android phones and tablets, and more. Shipping starts at $3.50, free shipping on orders over $29.99. Shipping starts at $3.50, or $29.99+ free shipping. The sale includes headphones, tablet acessories, and iPad accessories. Griffin Technology offers a 20% off entire site via coupon code "SAVE4DAD". Griffin Technology offers 25% off most items via coupon code SAVE4MOM. Shipping starts at $3.50, or free shipping on orders over $29.99. Today only (Apr 19),Griffin Technology offers 25% off entire site via coupon code "GRFNSAVES25". Griffin sells accessories for the iPhone (including iPhone 5), iPod, iPad, tablets, and more. Shipping starts at $3.50, or spend $29.99 to get shipping for free. Griffin Technology offers 15% off entire site via coupon code "DNEWS715", with prices from $1.69. Griffin Technology offers iPhone 5 cases and accessories in stock and shipping now! Use coupon code "IPHONE5" to save 20% site-wide. AND get free shipping on orders over $29.99. Griffin Technology cuts 20% off entire site via coupon code "SAVE20" with deals from $1.59. Griffin sells accessories for the iPhone, iPod, iPad, tablets, and more. Griffin Technology takes 25% off entire site via coupon code "CELEBRATE". Griffin sells accessories for the iPhone, iPod, iPad, tablets, and more, with cases starting as low as $3.74 after coupon. Griffin Technology offers Griffin Threadless Cases for Apple iPhone or iPod touch for $9.99 plus $3.50 for shipping. 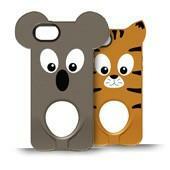 Dealmoon recommends: the Griffin Threadless When Pandas Attack Case for Apple iPhone 4 / 4S for $9.99 plus $3.50 for shipping. Plus, coupon code "RTMNTGRFN416" cuts an extra 16% off. Shipping starts at $3.50, but orders over $29.99 bag free shipping. Dealmoon recommends: the Griffin Aimee Wilder Girlbot Sleeve for iPad / iPad 2 / New iPad (pictured) for $19.99 before the coupon above, $16.79 after with $3.50 for shipping. Griffin Technology takes 25% off entire site via coupon code "LAUNCHPARTY". Dealmoon recommends: the Threadless Series Case for iPhone 4 in six styles ("Funkalicious" pictured) for $19.99 before the coupon above, $14.99 after with $3.50 for shipping. Griffin Technology takes 20% off entire site via coupon code "CES2012" + free shipping. Dealmoon recommends: the Elan Form Chilewich Vinyl Textile Case for iPhone 4 in four colors for $39.99 before the coupon above, $31.99 after with free shipping.